In today’s world Protecting Your Data is much of our valuable information is stored on our computers: receipts, pictures, videos, schoolwork, the list goes on and on. Unfortunately, most of us do not have a backup schedule to ensure the safe-keeping of this precious information, and all too often, it takes a disastrous loss of irreplaceable memories and documents to remind us how important it is to establish regular backup habits. As technology continues to develop, manufacturers of computers, along with software engineers, are incorporating features to make it easier and more user-friendly to store copies your information. Most modern computers will notify users on a set schedule, via small prompts in the corner of the desktop screen, letting the user know that they need to set up a backup method or that their chosen method did not work in the latest back-up attempt. Clicking on these notifications will generally open a dialogue box that explains the problem/solution, and lets the user decide how to proceed. By choosing to proceed, a “Wizard” (automated program that makes changes to your hard drive according your specifications) dialogue will open, and from there, minus a few clicks of the mouse, the process is completely automatic. Protecting Your Data. But what happens if you are using an older computer or one that does not offer these prompts/notifications? Backing up your information is still relatively easy. Most operating systems offer a button similar to that of Windows’ “start” button. Pushing that button opens up a menu, and from there a search dialogue can be opened. Typing “backup” in the search box will usually suffice in bringing up a shortcut to whatever program the operating system uses to back up information. Most backup programs have a “settings” menu. From this menu, the user can change the way information is saved. For example, the user can specify the directory in which to save the backup, how often backups are to be performed, what time the backups are performed, etc. It is good practice to back your information up weekly, and this can be adjusted depending on how often you change the information stored on your computer. 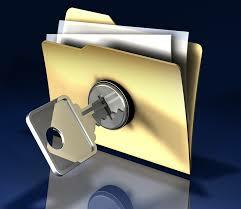 Automated backup programs are by far the easiest way to secure your information. While such programs are out of the scope of this article, a simple search of “automated backup programs” in your favorite search engine will provide more than enough information to get you started. Hard Drive or The Cloud? 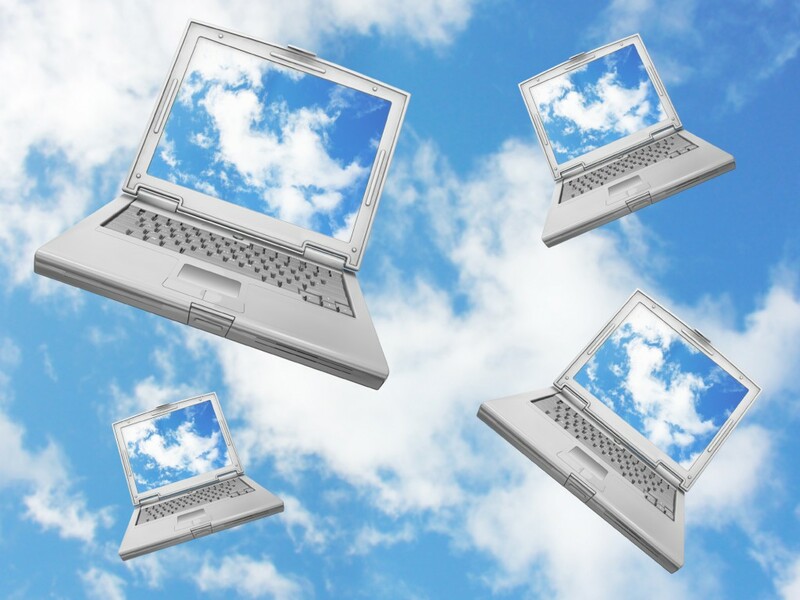 “The Cloud” is relatively new method of backing up information has gained massive popularity. It refers to remote site storage hosted by companies specializing in online information storage. There are benefits to using this method over simply backing up information to your own hard drive, an external hard drive or other physical drives. One such benefit of cloud storage is decreased likelihood of information loss due to hardware failure. If all of your backup information is stored on your hard drive, what happens in the case of hard drive failure? It is very expensive to have data extracted from failed hard drives, hence the increased popularity of cloud storage. A good practice is to combine storage on your own external devices and Cloud Storage. However, there is almost always a monthly fee associated with cloud storage, unlike storing information on your hard drive. All in all, it is up to the user to decide the details of their data backup practices. Just having such habits is step ahead of many, and if disaster does strike and your computer crashes, or worse, a hard drive fails. Those who take the extra steps Protecting Your Data ensure their data is safely and securely backed up will be glad that they did, and for the rest, coming to the realization that our information is far too important to depend on our computer’s natural life cycle, and hopefully the adoption of better backup habits in the future. 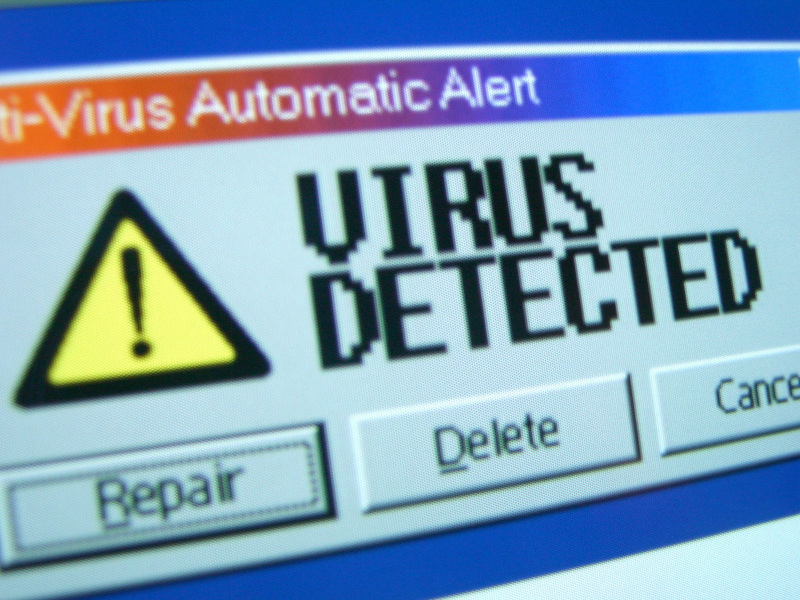 Today, there are 10 viruses which the experts consider to be disastrous for any computer system due to the fact that they can disable the system. The different types of viruses include, host requiring viruses, worms (they replicate automatically), and Trojan horses (they affect multiple areas). Melissa is the first computer virus that the experts noticed for the first time. It uses word document and it spreads through e-mail messages. When the receiver opens the file, it gets activated and the top 50 people on the address book of the recipient get the same mail. It caused an increased number of e-mails; so many companies had to drop their mailing programs. It also comes through email with an attachment. The message says that the mail is from a secret admirer. Opening the attachment will activate the worm and replication of the virus occurs. The target is receiver’s hard drive. Many new files are added to the receiver’s registry keys, like the WIN-BUGSFIX.EXE file steals the password of the receiver. Research shows that this virus caused a damage of around $ 10 billion. This virus also works like Melissa but with some variations, and it makes the computer almost inoperable. It disables the antivirus software, and it also tends to do spoofing where the email that seems from a satisfied source is actually a spam containing a virus inside. These are worms which affect the Windows 2000 and Windows NT operating systems. These create backdoors in the system; also create access for the hacker to control the machine. The hacker then can use that system to extract information and steals personal information. This virus targets the internet service providers, and then creates a backdoor in the system, allowing the hacker a limited or unlimited access to the computer functions. The virus also attacks the mobile phones. This virus attacks the internet server and increases after every few seconds. Initially ATMs, 911 services in Seattle and Continental Airlines were greatly affected by this virus and $1 billion damage was recorded. This is a backdoor creator worm, having many variants which affect different sites on the system. This virus attacks the search engines, e-mail receivers and when it stops spreading, the backdoors remain active. These are two different programs working on similar code. Sasser worm attacks through MS Windows vulnerability and the computer automatically shuts down. Netsky spreads via e-mails and windows network. This virus specifically attacks Mac computers through iChat messaging and circulates. The iChat contacts of the victim get the message as a result of propagation. The message also has a corrupted JPEG image file. This is a Trojan horse program, and one version of the worm turns the computer into a zombie or bots and the other downloads unknown applications through fake links. The subject of the e-mail changes according to the current situations. Spam mails become common, but the good thing is that the virus is not difficult to detect. The best way to protect yourself is to not open up any links from unknown email senders and invest in a quality virus detection software package. 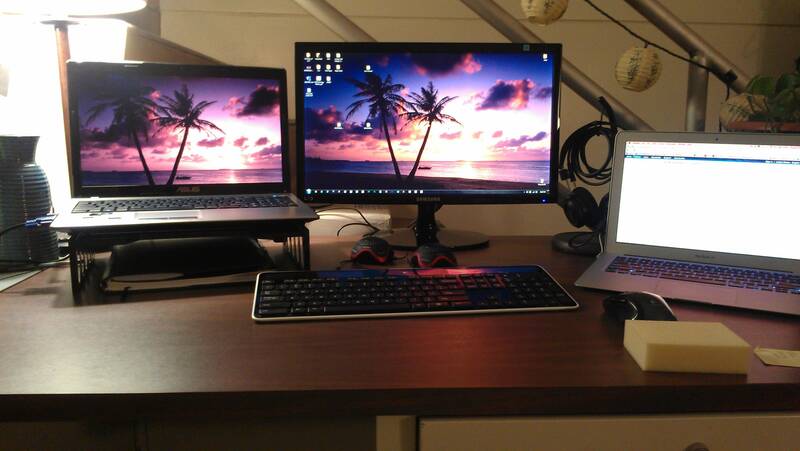 Most people are familiar with the two main types of computers: desktops and laptops. But did you know that there are many more models out there that offer amazing benefits? In the following sections, we are going to spend some time talking about the various types of computers in existence, as well as discuss their pros and cons. Due to their relatively large size, they aren’t designed for portability and are instead or well suited for remaining in a single location. The advantage to desktops is that there are more parts available for them should something happen to your model. One of the downsides associated with this model is that they do consume a lot of power, a lot more than your standard laptop. These are designed for their portability and light-weight design. Their designed for the mobile user who needs to answer and respond to e-mails wherever they go. With built in key boards, a mouse, and screen, there is no need for any other kind of external device to use these computers. Their main downside is that they do require battery charges on a relatively frequent basis and they are much more fragile than desktops. Net-books are considered laptops except they are much smaller in size. Their average screen size is typically less than 11-inches and their RAM isn’t large than 1GB. Although they are a bit slower than your average computer, they are extremely portable and can fit almost anywhere. This makes them perfect for the mobile student or businessman. Also known as personal digital assistants, PDAs are handheld computers that work on touch screen technology. They use memory cards as their primary source for storing data and they can be used to play audio files, browse the Internet, and even read and answer emails. Accessing the web with personal digital assistants is as simple as using Wi-Fi connection or Bluetooth technology. Minicomputers received their name due to their decreased memory and processing capacity. However, they are the size of two refrigerators and require a lot of energy to be used. While they aren’t so common today, they were widely used in the 1960s. Devices known as “Servers” are also computer devices that aren’t as common as the ones discussed above. These are typically very large in size and will use a multitude of hard drives and processors to operate and exchange information. Finally, “Supercomputers” are computers that are extremely expensive but that can take on extremely complicated problems including mechanics, quantum physics, and even molecular theory. 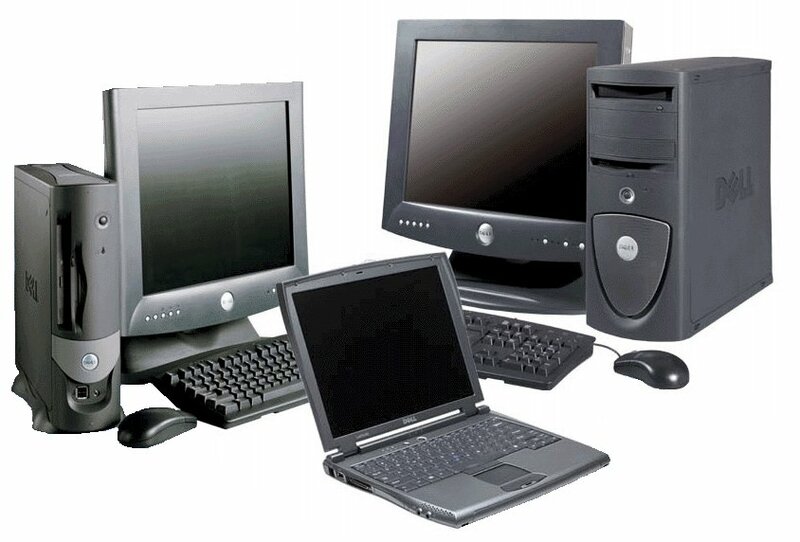 While you wouldn’t necessarily be using these types of computers to log onto Twitter, they are able to produce massive amounts of processing and computing power. Among all of the uncommon models we discussed in this article, this one is the most uncommon for average consumers. Nonetheless, each one of these is unique in their own nature and offers their own set of advantages and disadvantages.I would love to hear your thoughts in the comments below. Laptop computers have become incredibly common within our society. And with so many models and processing speeds to choose from, people are more able to select a model that best suits their specific needs. But like most consumer items in life, laptop computers do have their own set of advantages and disadvantages that you should be aware of. Understanding them should ultimately make it easier to make a smarter purchasing decision later on down the road. Before we begin, let us remind you that there are dozens and dozens of different laptop models and variations currently available on the market today. The majority of these models each carry the same basic components: hard drives, graphic boards, and CPU motherboards. With that being said, this article is going to speak about the benefits and drawbacks of laptop computers as a whole. It’s safe to say that laptop computers are very portable- a lot more so than regular PCs. As a result, you can take them with you while traveling as well as fit them into narrower spaces for storage. Laptop computers are perfect for both business professionals as well as students who require regular access to the Internet as well as who require a lot of CPU storage space. 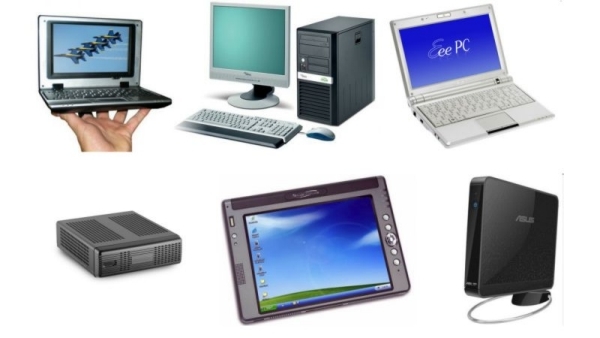 Since most of them are relatively small, laptop computers will consume far less energy than a regular computer. By saving more energy, you won’t need to be as dependent on wall chargers or charging cords. Finally, with technology more prominent than it has ever been, more and more people are able to use their laptops like regular computers. For instance, laptops these days can be connected to external components such as mice, keyboards, and even monitors. Some even allow connections into televisions for even larger visual displays. There are a few downsides to laptop computers that people should be aware of. First off, they can be difficult to repair. This is mainly due to the fact that their designs are highly integrated. Certain areas of these devices can be incredibly difficult to tune up or replace and a lot of money should be spent to have it done otherwise. A professional technician will usually need to be sought out whenever mechanical changes to a laptop computer need to be done. In addition, laptops can be much more fragile than your regular desktop computer. Due to their portability, people will be much more likely to travel with them. This will increase the chances of damage incurring to the device. Like most consumer products, laptop computers have their fair share of pros and cons. However, most people can agree that their drawbacks shouldn’t sway you away from purchasing one. Quite the contrary, the advantages associated with laptop computers far outweigh the cons. Overall, they are very reliable devices that are used by all kinds of people including businessman, teachers, and students, Understanding their benefits and drawbacks will allow you to make a better decision when purchasing one. 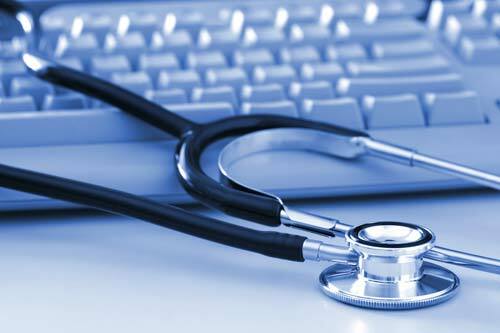 Just like an automobile, computers need to be maintained or “Tuned Up” on a regular basis. This process will increase their lifespan and allow the device to run more efficiently. The main reason why computers need to be tuned up in the first place is because they accumulate massive amounts of dust as well as become exposed to elongated periods of heat. These factors ultimately make the computer run more slowly and shorten its life. The first step that one should take when they are trying to tune up their computer is to start deleting folders and files that are no longer being used on their device. Start by clicking on the “Start” button on the home screen followed by typing in “Disk Clean-up” in the search box. Afterwards, you will be presented with a list of drives that you would like to clean. After pressing “OK”, the computer will begin the deletion process which can take anywhere from a few minutes to an hour depending on the quality of your system. Taking this route will delete a substantial amount of old or unused files from within your computer as well as free up space for future downloads. It will also allow your computer to process much quicker than normal. Always do a backup first before attempting this process. Or alternatively call computerdoc for laptop repairs melbourne. We are located in all suburbs . Caulfield repairs Melbourne, St Kilda repairs Melbourne, Ormond repairs Melbourne, Brighton repairs Melbourne, Port Melbourne repairs Melbourne,glenhuntly repairs Melbourne, sandringham repairs Melbourne, Hampton repairs Melbourne, bentleigh repairs Melbourne, mckinnon repairs Melbourne, toorak repairs Melbourne, armadale repairs Melbourne, Carnegie repairs Melbourne,black rock repairs Melbourne,moorabin repairs Melbourne, south yarra repairs Melbourne and prahran repairs Melbourne. “Disk Defragmentation” is basically a utility that is responsible for compacting important files and drives within your computer. The reason it works so well is because it frees up a lot of space by forcing your computer to run more efficiently. To do it, click on the “Start” menu followed by typing in “Disk Defragmentation”. From here, you’ll be provided with an option as to which drives you would like to defrag. The “C” drive is usually the most important one as well as the one that is going to require the most amount of time. Select this drive and then proceed. You’ll notice that all of your files and programs will start to become grouped together. This makes your computer run much more smoothly as well as provides it with much more memory space. Also known as “Random Access Memory”, RAM is responsible for the amount of programs and files that your computer is able at any specific instant. For instance, a computer with a large amount of RAM can have multiple windows running smoothly while a device with a small amount of RAM can only function if there are a few open. The good thing about this component is that it’s something which can easily be upgraded as long as you are willing to spend a few extra dollars. Finally, try to make sure that your computer is safe from viruses and other types of malware. The best way to do this is to download the latest anti-virus and anti-malware programs. Most can be acquired via the Internet and they’ll also succeed at increasing your computer’s performance. In general, try to tune up your computer every six to eight months to ensure that it runs smoothly for years to come. Every computer today has at least several different ports. Why? The reason is simple – computer ports have a vital purpose. You can use it to connect an external device, whether it’s an input or output device. Most popular input devices are keyboards, mice, scanners cameras networks and video devices. These devices provides data or signals a computer in a certain way. Output devices convert computer-generated information into a form that is readable by humans. Therefore, output devices are monitors, speakers, headphones, projectors and printers. Each of these devices is connected with a computer using one of the ports, unless they are connected wirelessly which is the way of the future. USB (Universal Serial Bus) is a standard port used to connect computer peripherals including keyboards, mice, iPods, external drives, smartphones and much more. Notebooks and desktop computers usually come with at least two USB ports, but you can easily expand this number by using a USB hub. Current version of the USB port is 3.0, so keep that in mind when buying a computer. Although most devices work on the old 2.0 version, having at least one USB 3.0 port would be great if you are using an external drive, for example, as it would give you up to 10 times faster speed than the old port. Ethernet port is used to connect a computer to a high speed Internet via an external cable or DSL modem. It is available on desktop computers mostly, but on a lot of notebooks as well, although in the recent years more and more notebook users choose to connect to the Internet wirelessly. Data travel speeds can be anywhere from 10 megabits per second up to 1000 megabits per seconds if we are talking about the Gigabit Ethernet. This port was invented by Apple and has been a part of their Mac line since the early 2000s. Firewire port is used to transfer a big amount of data at great speeds. Depending on the port version, data can travel at either 400 or 800 megabits per second. This was pretty impressive back in the days of USB 1.1 and USB 2.0, but with the recent expansion of USB 3.0, Firewire is not that impressive as it used to be. VGA (Video Graphics Array) port has 15 holes and it’s used to connect a computer monitor to a video card. Designed in 1987, it is still used today; however, the number of video cards and monitors that support it has been dropping a lot over the course of the last several years. DVI (Digital Visual Interface) port is very popular way of connecting your video card to a monitor. Created in 1999, it superseded the VGA port. Although newest LCD monitors will still work with a VGA input; DVI, HDMI, and Display Port are considered a much better option nowadays. HDMI (High-Definition Media Interface) port is widely used today, and for a reason. It supports both video and audio data transfers. With HDMI you can easily connect your computer to a monitor, but also to a TV, as most TVs these days have an HDMI port. Display Port is the newest port that was designed as the successor to DVI; however, it still isn’t as popular as HDMI or DVI. But, this may change in the near future as it’s being included in most new higher-end notebooks and all new Macs. More and more monitors support it as well. How to connect a laptop to an external display? Computerdoc Melbourne explains how an additional display can significantly increase your productivity. Having a second screen will give you more screen real estate, which will greatly help you in case you are doing any sort of work, photo or video editing, graphic design etc. Almost all new laptops have one or more ways of connecting to an external display, whether it’s a computer monitor, projector or a TV. 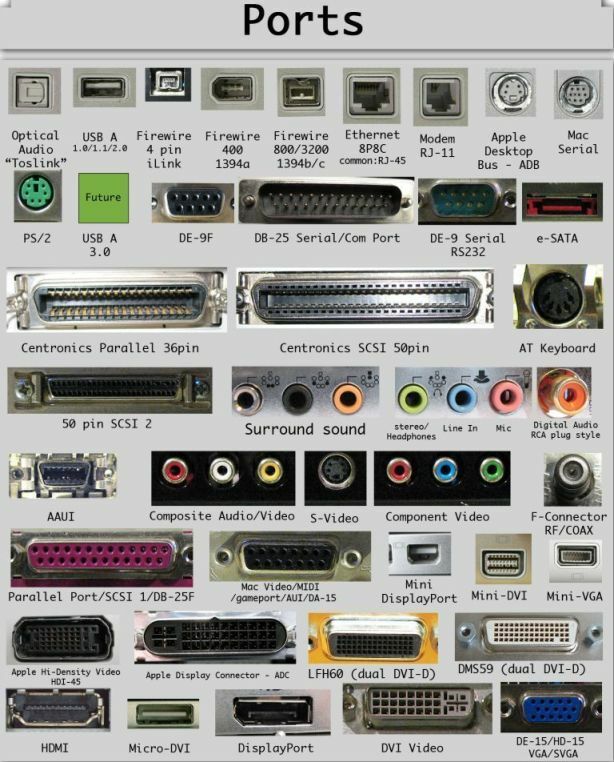 Laptops can come with VGA, DVI, HDMI or a Display Port, or some kind of combination of these ports. In case your laptop comes with a DVI port, but your monitor supports only HDMI don’t worry, you can easily buy a DVI to HDMI adapter or call laptop repairs Melbourne. Once you connect your laptop to an external display, it should automatically detect the second display after a few seconds and set its resolution, but this depends on your operating system. If you are using Windows and nothing happens, try pressing the “Display Function” key on your laptop, which is usually a combination of either: Fn+ F3, Fn + F4, Fn + F5, Fn + F9 or Fn + F10 (you will see two displays drawn on the button). This should activate the second screen. Depending on the position of your additional display in the real world, you may need to make a few adjustments. If you are using Windows, find the “Display Settings” icon in the Control Panel and once you open it you will be able to change the position of the external display so that it matches its physical position. If needed, you can also adjust the resolution of the display. If you own a MacBook, the process is pretty similar. First of all, make sure that you have all needed cables. MacBook Pros have an HDMI output, but if you own a MacBook Air, you will need to buy a Mini Display Port to VGA/HDMI/DVI adapter. If you have an Apple Thunderbolt Display then no additional adapters are required, as you can connect it directly through the Thunderbolt port (Mini Display Port). After you connect your monitor/TV, Mac OS X will automatically detect the screen and set the optimal resolution. If for some reason you want to adjust the resolution or the screen position, you can do so easily by clicking on the “System Preferences” icon in your Dock, and then clicking on the “Displays” icon. A new window will pop up and you will be able to adjust the settings to your liking. After you set up everything, you can choose between two main ways of using the additional display. No matter what operating system you are using, you can choose between mirrored displays and the extended display.Display mirroring is useful if, for example, you are giving a presentation on a big screen or a projector, yet you want to control the content on the smaller (laptop) screen. Extended display is great when you’re working; as it helps you organize opened applications much more efficiently, due to more desktop space. Cloud computing is getting very popular, because it is more flexible than the current IT practice. With this you can use different computer programs and various resources through the Internet. Though, people have been browsing the websites for a long time, this process has dramatically advanced and expanded through cloud computing. Now you can run any program through cloud, and you don’t have to keep huge computers in your office or home. All you have to do is to rent the computing power from its provider. It provides the service through three ways, which are technically known as three layers. These include SaaS, PaaS, IaaS and these are all different in terms of IT and meeting the requirements of various users. It serves the basic users also known as the end-users, like in business these users are your employees. SaaS makes it possible for the office staff to use various business applications, including e-mails, spread sheets, word processing, management tools, accounting software’s and many other programs. They can use these programs through browsing from anywhere. own infrastructure; hence they use the data centre of a hosting service. PaaS also serves the technical staff, and it works through API (application program interface). It enables the developers to develop different applications and programs in a much faster way. An existing program library is provided through API; as a result it installs the program automatically. How is it helpful in business? Businesses can get a great benefit from it, because these three layers work independently. The buyer can get the required service, instead of buying the whole system. As it is faster, hence your business can grow gradually and at its own pace without wasting the capital, making it extremely cost- effective. It also provides fast network speed, and you can use various access methods like wireless or broadband. All businesses large and small should make a comprehensive plan to use cloud computing, and take advantage of this advance system, so that they can grow their business in a flexible and cost-effective way. I would love to hear your thoughts on Cloud Computing. And for all computer repairs Melbourne and laptop repairs Melbourne please give me a call on 0412 392 253. The tablet is a portable, easy to use minicomputer, and there are many different types available on the market, which have made the purchasing choice challenging and often overwhelming for many users. To make the purchase less overwhelming it helps to consider certain specifications when choosing and buying a gadget like the tablet. Consider what you want to do with your tablet, like if you want to use it as a mobile phone, you would need a tablet with a SIM enabled feature. If you want to use it as a computer for browsing and watching movies, then you need a tablet with good graphics. Also it is important to know whether you need it as an office aid or for general home use. down the choice, as it will help you select the most suitable tablet for you. What applications and operating system do you need? 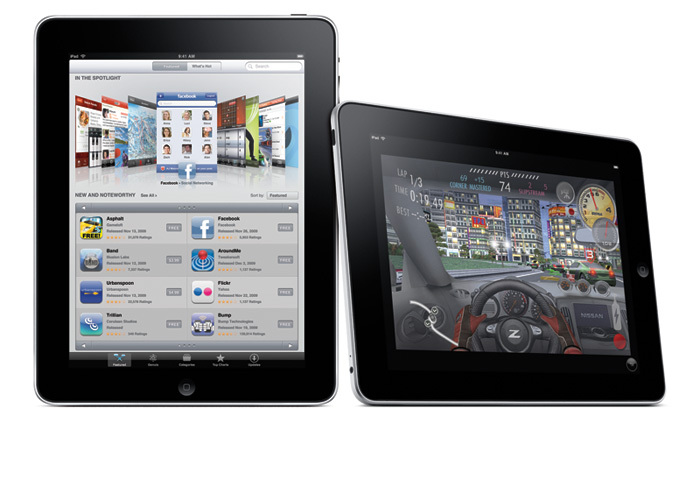 Comparing the apps and operating system is another important aspect. These days Android, iOS, and Windows are common operating systems. QNX is also used, but Android and Windows cover the major tablet market in terms of operating system. If the user wants to do office tasks like documenting, spread sheets, creating word files, and editing, etc., then the best choice is the Windows tablet. Android Tablets are also extensively used, as android supports lots of apps. If you are planning to go for a specific OS,then check if it allows the special apps you want to use on your preferred OS. will be the ideal choice. Other features include the cameras, screen size, battery life, processing speed and the external hardware that you can connect to the tablet like external keyboards, USBs, and the speakers, etc. device will be more expensive. What is your price budget? will help you choose a tablet wisely. I hope this helps you with out when you are next purchasing your tablet. Any questions please don’t hesitate to email me. And for all computer repairs Melbourne and laptop repairs Melbourne please give me a call on 0412 392 253. At Computerdoc Melbourne Purchasing a new computer is a lot like purchasing a new car- you’ll want to weigh the pros and cons of each unit as well as learn about its functions before making any final decisions. For instance, you’ll want to make sure that the computer is backed by good reviews and that it fits within your budget. Let’s keep reading about the various tips that you should keep in mind before buying your first new computer. PC vs. Mac – Which One Should You Choose? This is probably one of the more common debates that you’ll find within the computer industry. The “PC vs. Mac” debate has been around for quite some time and doesn’t seem to be going anywhere, anytime soon. Generally speaking, models from both sides are quite reliable and vary in regards to processing speed and RAM. It really boils down to the finer details of the models that will really cause someone to sway one way or the other. Make sure that you understand what the purpose of your new computer is going to be. For instance, are you going to be spending a lot of time playing games? Are you going to be working? Are you going to be writing papers? Whatever your reason may be, make sure that you choose a computer that suits those needs. After all, you wouldn’t want to purchase a computer with 8GB of RAM (for gaming) when you’re only going to be using 2GM of RAM at any given moment for your school work. You would save a lot of money by choosing the latter. Also think about visual appeal and graphics. Are you someone who requires crystal clear display for gaming, or would you rather focuses on a practical device that gets the job done? These are additional considerations to think about before making any purchases. This consideration really boils down to the amount of time that you’re going to be spending on the road. 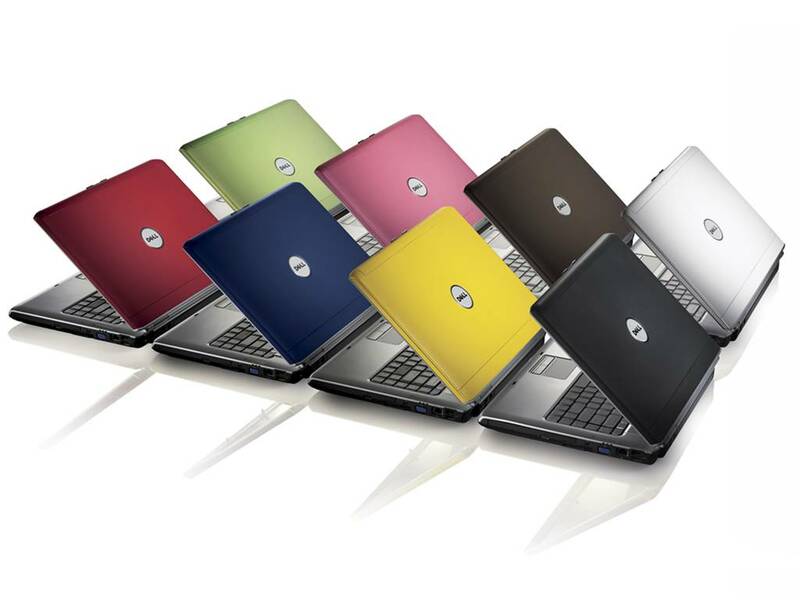 For example, if you are a student who is always on the go then you would be much better off purchasing a laptop. A desktop would only do you any good when you aren’t planning on leaving your home for extended periods of time while expecting to answer emails and write papers. Just do keep in mind that laptops do have shorter battery lives than desktops (which don’t require batteries) and they are also a lot more fragile. And they can also be much harder to fix and find replacement parts should something happen to them. As you can see, there are many different things that you’ll want to keep in mind when it comes to buying a new computer. Aside from visual appeal, you’ll definitely want to be sure that you purchase a model that is going to help you accomplish specific tasks. Finally, it would help to get educated on terms like “RAM” and “Motherboards” before investing in a computer. Another important factor purchase your computer from a local supplier so if you have to go back for help its more convenient. Local areas have a good supply Caulfield , East Brighton, St Kilda , and Hampton .